I honestly love bringing my children up in the North East. We live just 8 miles from Newcastle and have easy access to the city via bus, rail or car. There's is so much for families to do in Newcastle and a lot of it is FREE. We can never complain we're bored living here. 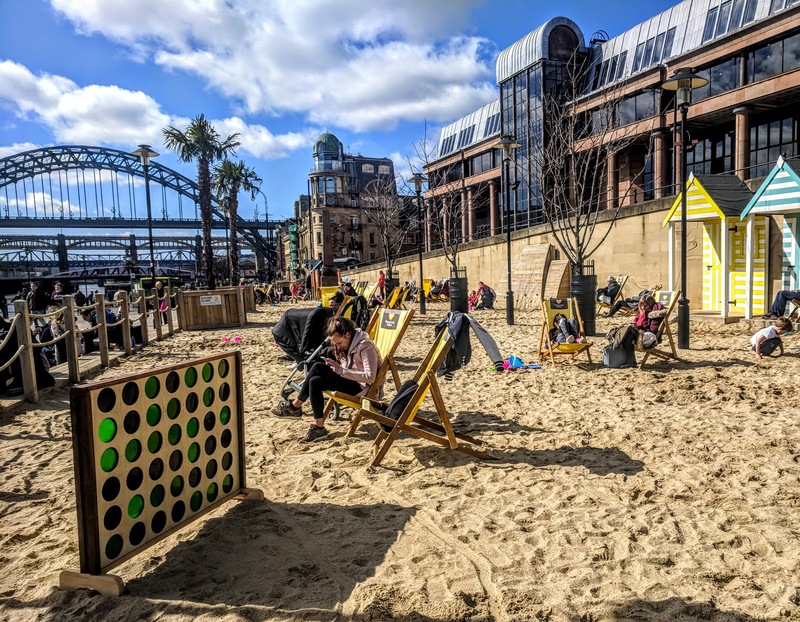 Over recent years, a special Quayside Seaside has popped up on Newcastle Quayside and this year, it's better than ever! The Quayside Seaside is free to visit. 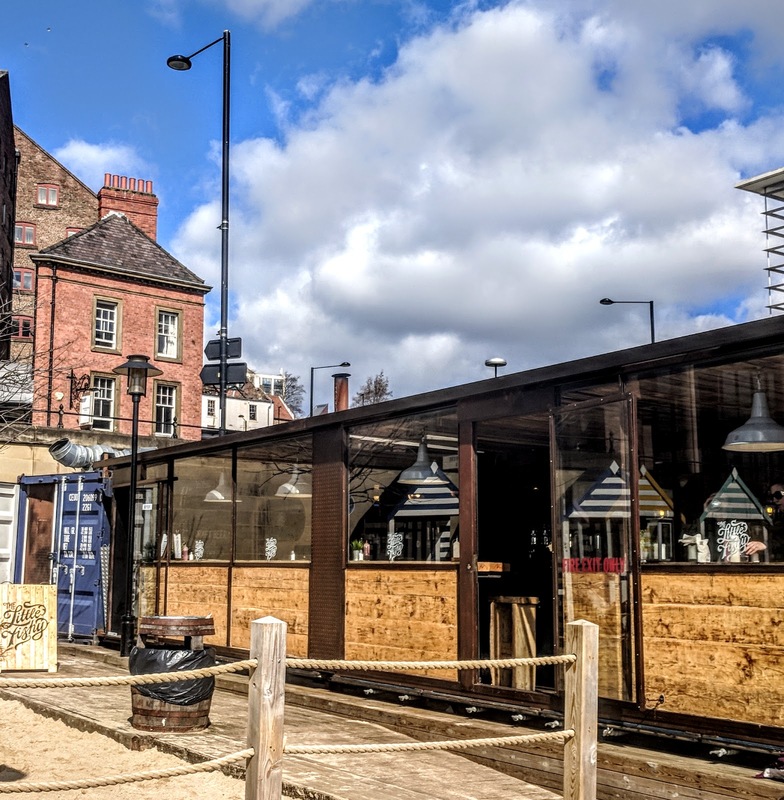 Located on Newcastle Quayside not far from the Millennium Bridge and the Pitcher and Piano and with a Quaylink bus stop right on its doorstep, the attraction is very accessible. We popped down on what felt like the first day we'd experienced any kind of sunshine over the Easter holidays. 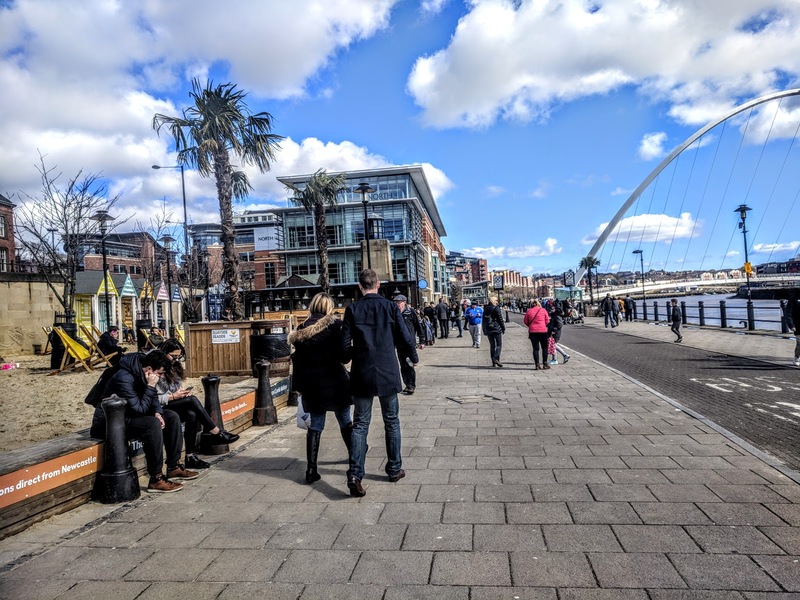 We just walked from Newcastle City Centre - for any non-locals reading this, if you start at Grey's Monument (or Monument Metro Station) and walk all of the way down Grey Street and then turn left at the Tyne bridge and follow the River Tyne towards the white Millenium Bridge, you'll find it. The seaside is open until 31 October 2018. This year, I'm very excited that the award-winning 'The Little Fishy' has taken residence in Riley's Fish Shack. These guys are a family-run business, serving locally sourced fish in a few different styles including their famous panko breadcrumbs. You can choose to eat your fish inside of the container or outside on the beach where you'll find plenty of deck chairs. Simply order in the hatch and listen for your name to be called. You can pay by cash or card. We decided to eat inside and managed to grab a table after the main lunchtime rush. The interior is simple and stripped back (and a bit hipster) and there's a lovely woodburning stove in the corner. It's all about the views though which have to be some of the best in town. 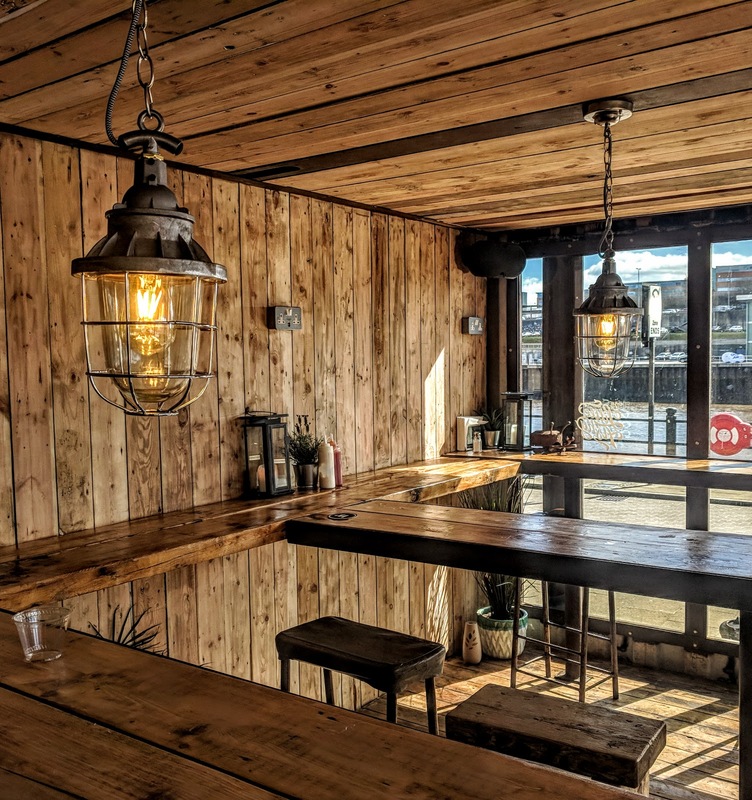 The best way to check The Little Fishy's opening hours is via their Facebook page here - this is also the best place to find details of deals and special offers such as a fab Fizz Friday deal which includes fish, chips and a glass of Prosecco for £10. Bargain! The menu is small but perfectly formed. 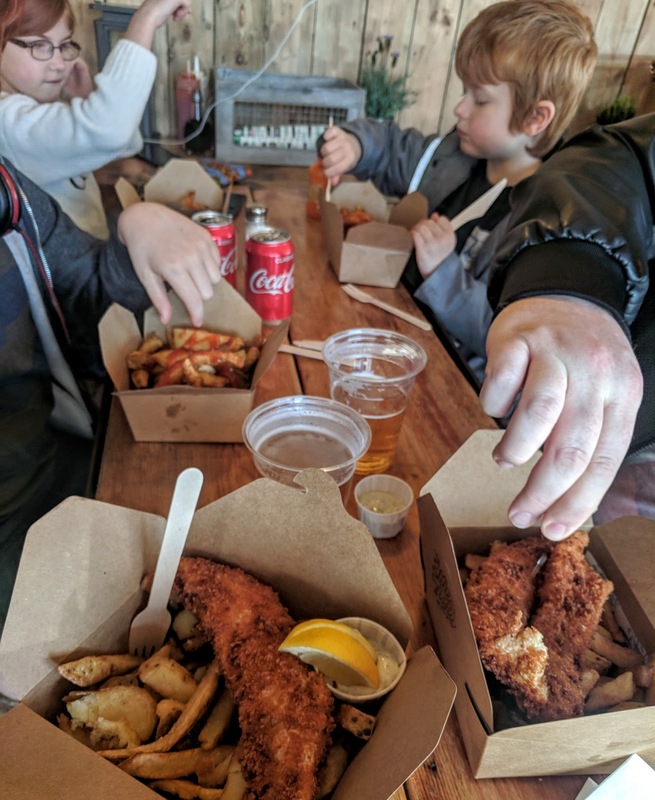 Kids are well catered for - Panko Fish & Chips for kids will set you back just £5 and you can buy chip buttys or just plain chips if needed. Steve and I ordered the Classic Panko which is a bargain at £7.20. Be prepared - the portions are HUGE! All five of us couldn't manage it all which is unheard of. Service was super quick and friendly and we all agreed that the fish and chips were delicious. A quick word of warning - panko breaded fish is different to what you'd normally get from a traditional chippy so don't go expecting the same. If anything though, it's better! Fish and chips are served with traditional tartar sauce and you can help yourself to ketchup, salt and vinegar. There's a canny selection of drinks for sale too. 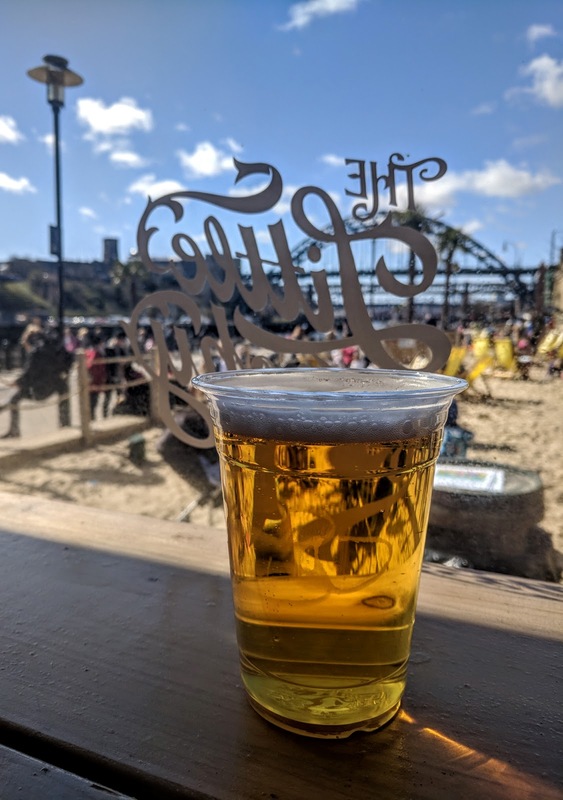 Takeaway coffee is available courtesy of Tynemouth Coffee Company (and seemed to be very popular) plus there's a selection of beer from Wylam Brewery as well as a variety of Wines, Prosecco and soft drinks. They even serve Fruit Shoots! 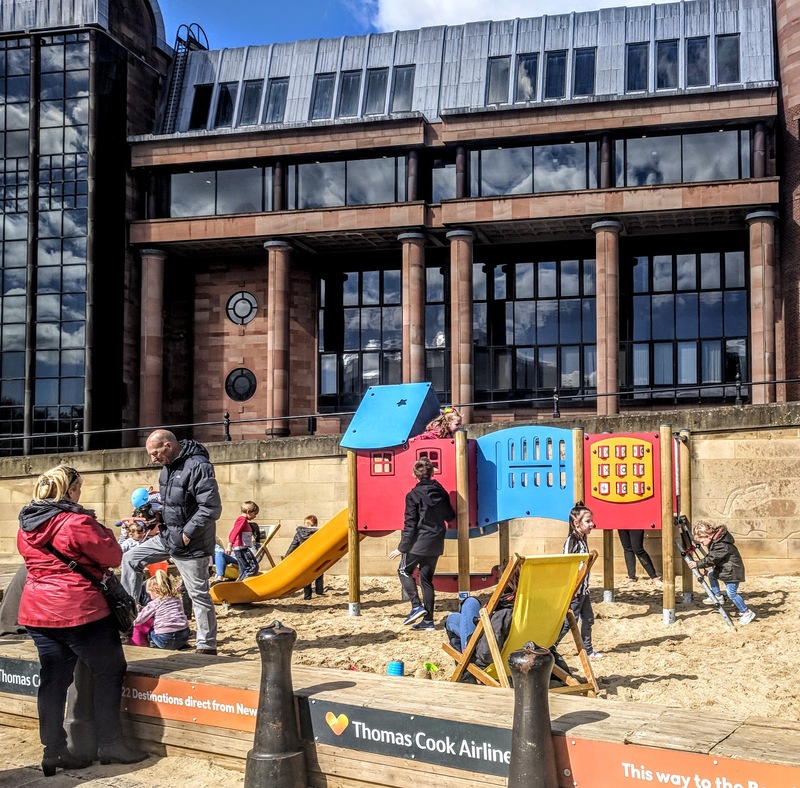 The Quayside Seaside is a fab place to simply take a seat and people watch and there are games for kids to play alongside buckets and spades to borrow too. There's a toilet hidden by the back of the container if needed. The seaside is such a lovely place to simply relax with the family, catch up with friends and let the world go by. This year there's a brand new small play area for children aged 3-7 too. It looked lovely and was definitely a hit with the younger kids who were visiting. The whole Quayside was buzzing on the day of our visit. If you've ever walked by the well-known busker who plays his interesting take on songs along the Quayside, you'll know what I mean when I say that he kept passers-by entertained. It's a short walk to the Baltic and Sage across the bridge which are both great for kids too if you'd like to make a day of it. Or you could walk even further to Ouseburn Farm and Seven Stories. Our lunch at The Little Fishy set us back £38 for the 5 of us including drinks (2 of which were alcoholic). 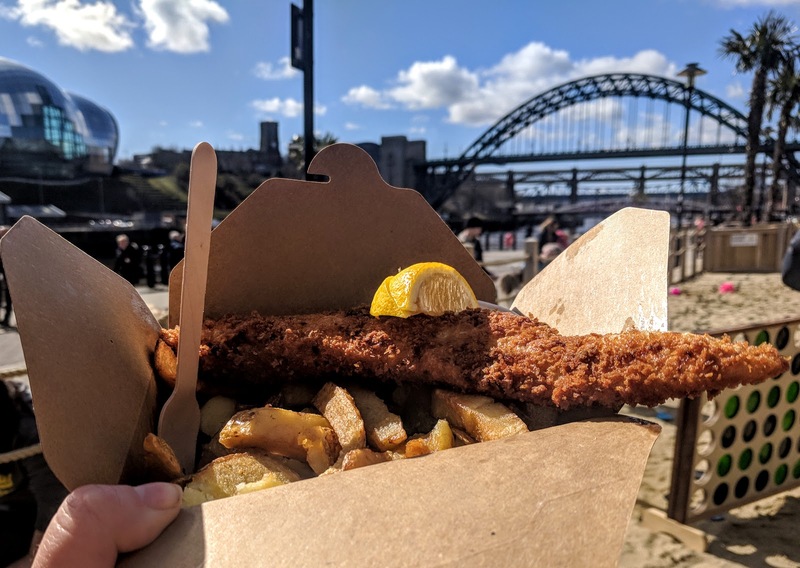 We really would highly recommend visiting and supporting these guys - the Quayside Seaside is loads of fun and I kind of think we need to use it or lose it! 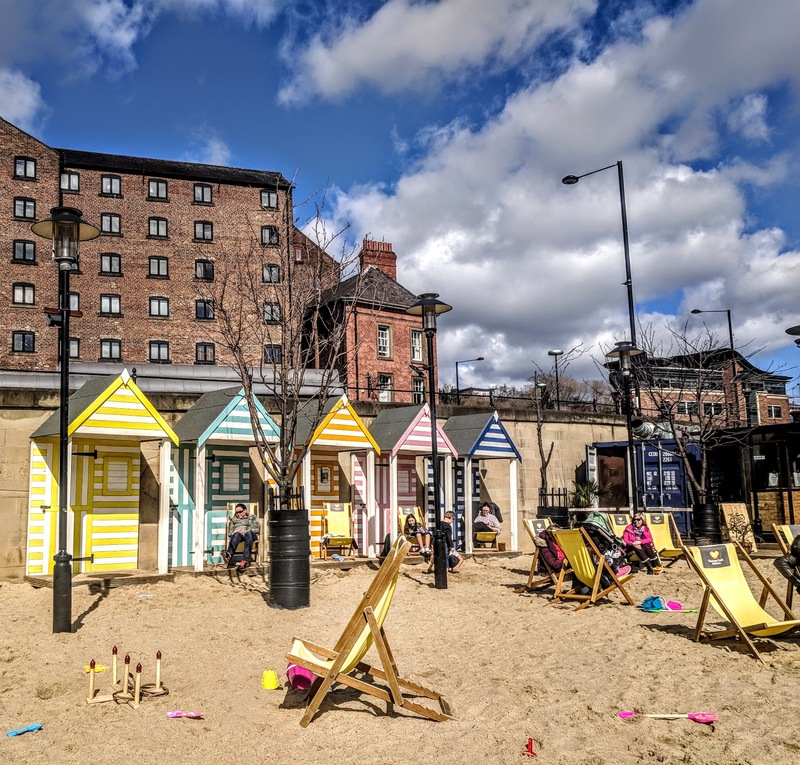 Do you have plans to visit the Quayside Seaside this year? Disclosure - we paid for our own meal. 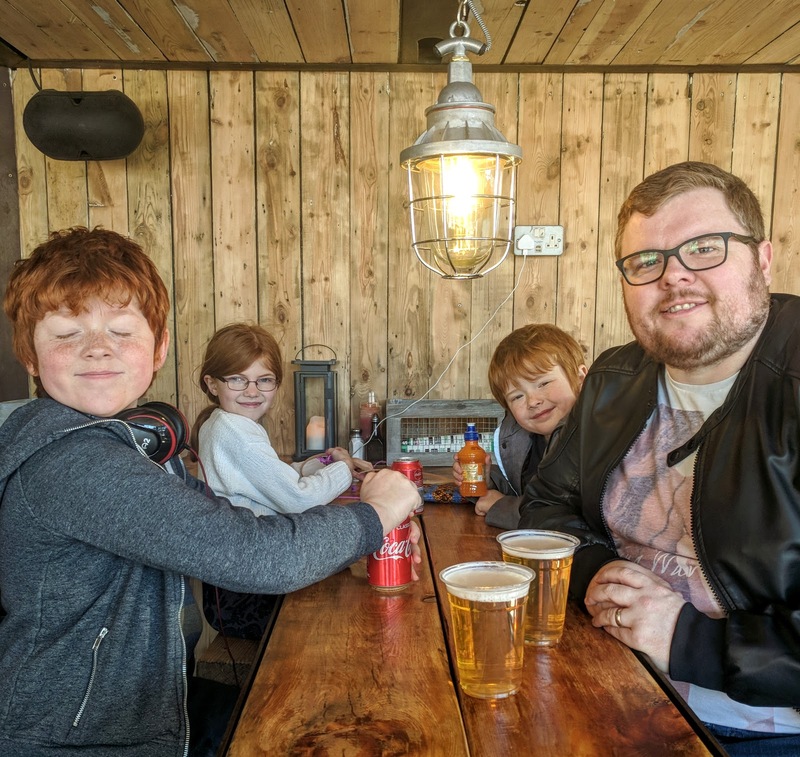 I'm linking this post to Mummy Travels and Wandermum's City Tripping Linky - a fab place to find lots of travel inspiration. Oh I loved this post. Can’t wait to check it out. We love popping down here in the summer. I’m so pleased you included a photo of the menu as I’m always curious and it’s nice to be able to see before you go in. 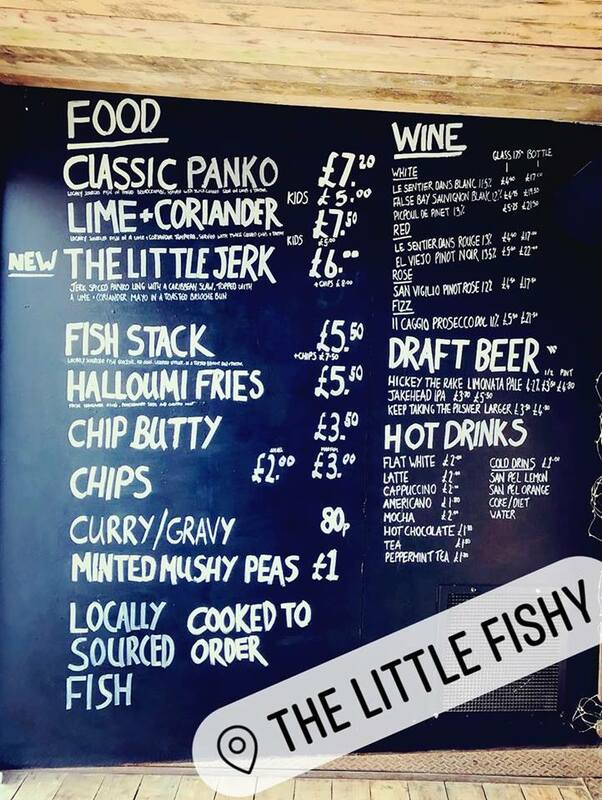 I am SO happy that Little Fishy have a little home for the Summer, their fish and chips really are amazing! I love the look of this - and those fish and chips are immense! Mmmm they are so good! I've been past many times and it always looks an inviting place to grab a bite. I'll have to dine there soon! will need to get down there this summer-looks lovely! 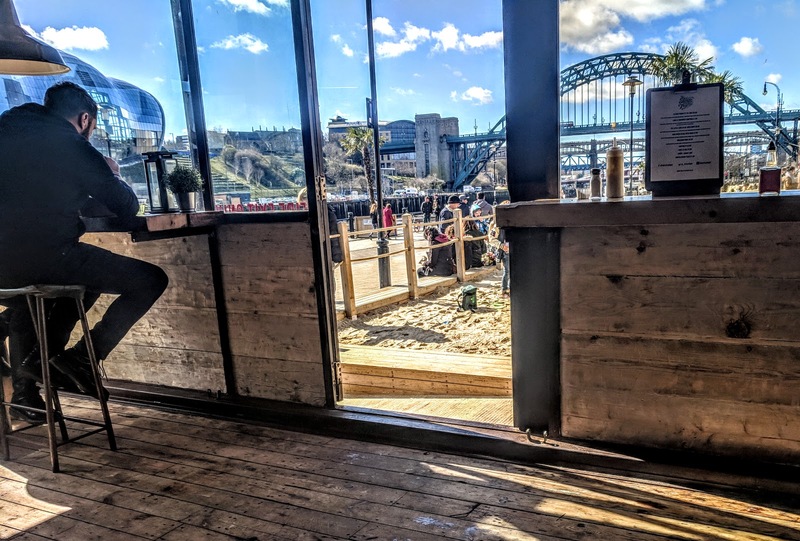 Many many years ago when the Quayside was home to the Sunday market and decaying warehouses I wrote my dissertation about ways that it could be utilised. Lots of positive things have happened since but I never, ever envisaged a beach!